When you payout money from your account, the payout report provides you with a detailed breakdown of which songs, releases and artists which received money from that payment. Unlike the sales performance tool, or the sales report, this report is connected to specific payout which you make from your account. The payout report is useful if you have collaborators who have worked on songs or releases which you have available, or if you are a label with multiple artists. In these cases, the Payout Report will help you understand how much each collaborator is due to get from a payout you have made. 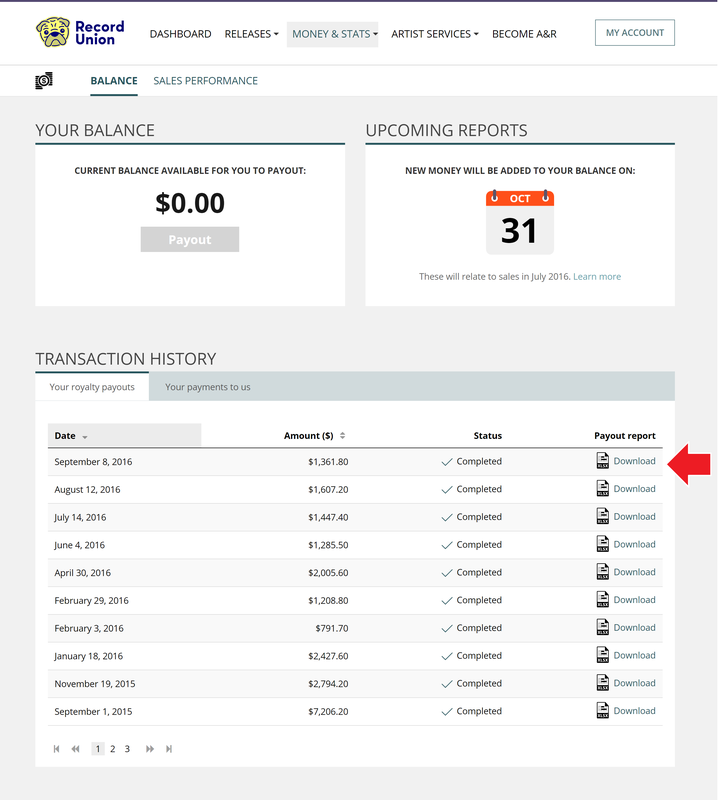 Payout reports are available to download from the transaction history on your balance page. To download a report, locate the payout that you want to get a report for and click the "Download Report" button on the right.